We had a lovely forest/nature tangles workshop on Oct 4, and as part of our preparations, I wanted to give folks a chance to warm up to the notion of “drawing behind” some more before we got into more challenging layers of patterns. So back to basics with a twist! Top : Sampson, Middle: Enyshou, Bottom right: Opus, and Bottom left: ….. a new tangle/ation? It’s pretty easy to draw, and the important thing here is NOT to set out to draw a “thing” (ie a twig, etc). Just think about the shapes. Draw your first line, but add a bump on the left side of it somewhere… doesn’t have to a straight line, you can make it shaky, and it works too!. Now, to the right of your first line, make another line, but this time add a random elongated ‘stick-like’ shape out at about a 30 degree angle. But again, it’s just another protrusion.. it can be shaky too, it can be at a different angle, different shape. In the step out below, I have a version where the protrusions have a point at the ends, kinda ‘thorny’. You get the idea, right? Continue adding new bands, at an angle to the last one you did, with a bump on one side and random longer thin “stick” on the other… just like with Hollibaugh. Turn your tile as you add more of these bands. Don’t fuss too much on making it “look like something”. Just concentrate on the shapes… FUN! So here is “Twiggee”, as I’m NOW calling her*. Seems to me she’s a tangleation (a tangle variation) rather than a Tangle… but if done uncrossed…. well maybe not? I don’t care… I just want you to have fun with it! We’ll do another nature-inspired workshop later this winter…. just when we’re getting sick of the dreariness and next time, mix it up with some COLOR and flower-inspired shapes to usher in spring! Meanwhile, have fun and show me your work! *Sandy B has a tangle called Twiggy, so I’ve changed the spelling on this one just a tad. 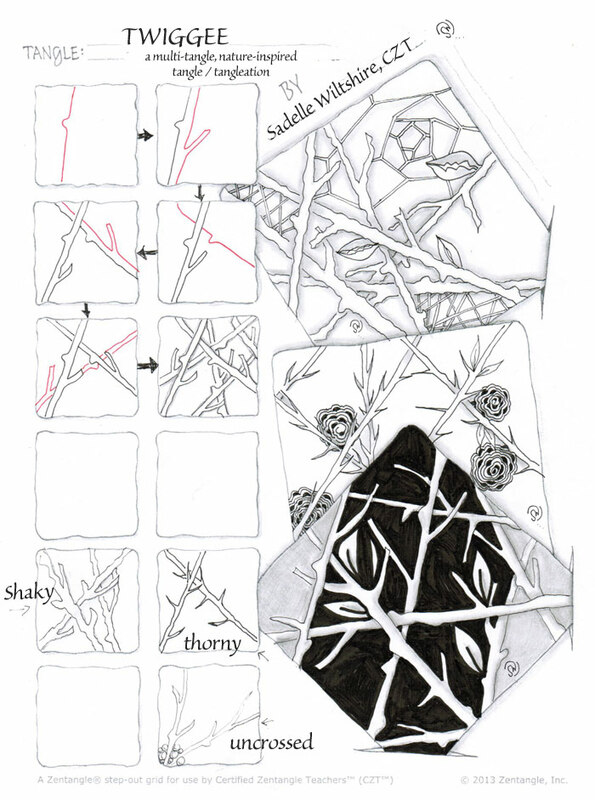 This entry was posted in Tangles, Workshops, Zentangle® and tagged forest-inspired, nature, tangle, tangles. Bookmark the permalink. This is a really beautiful tangle! 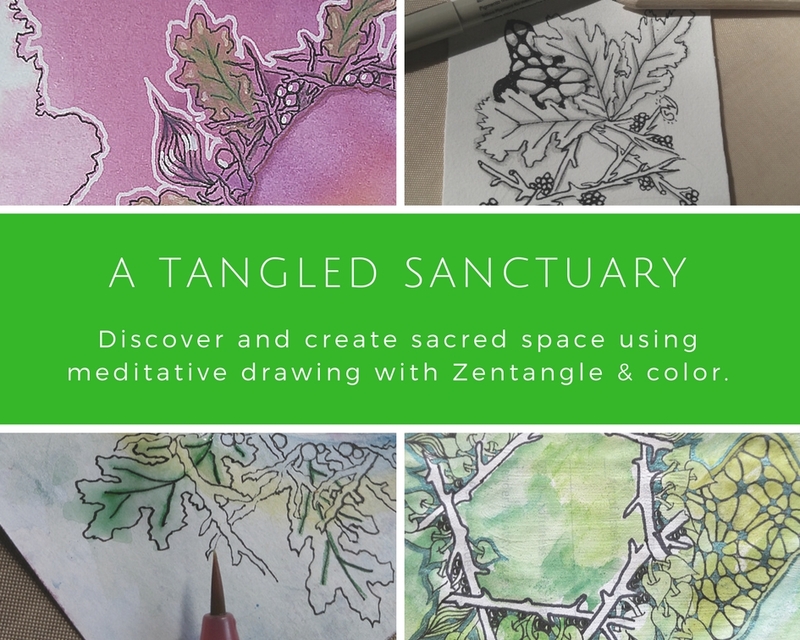 I know tangles are not supposed to look like things, but if it makes me look at the beauty in the world around me then, in my mind, it definitely meets the “zen” part of tangling. 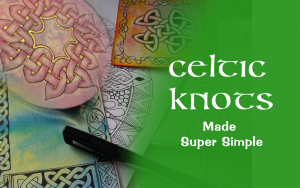 Your tile and tangle are deeply inspiring! I love your tangle patterns. The tangle patterns that represents anything growing like trees, flowers or plants are one of the cutest tangle patterns to me. Thank you so much, Cookie! I love, love, love finding the magical patterns that appear in nature, and living just steps from forest trails, count myself lucky. 🙂 Glad you’re enjoying them too! I love this tangle! Could it be because I love trees and branches? Thanks ever so much for sharing this. Thanks, Terri! I love everything organic! 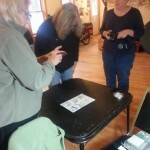 We had so much fun teaching that class… hopefully next spring we will do one when it is NOT raining and actually go for that hike we’d hoped for mid class! Wow. Just found your site today. 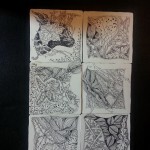 I love doing zentangle and especially love this post that is taken from nature. Simply beautiful. 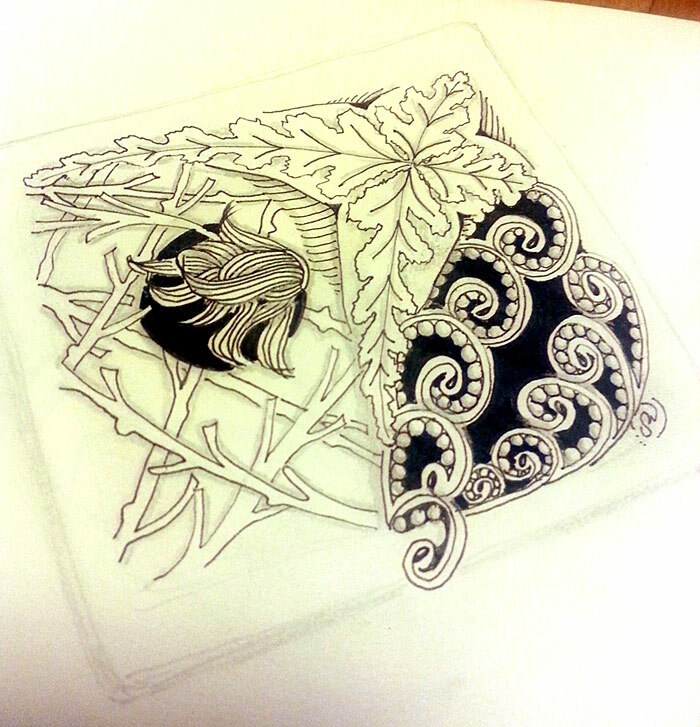 Are there any books on doing zentangle that immitates nature more? I’d love to do some of this. Thank you so much for your inspiration and beautiful work. Hi Sharon… I’m not sure if there is one book that specializes in this… but one thing you could do is check the patterns that are added at tanglepatterns.com with the tag ‘organic’… here’s a direct link that includes all tangles categorized there as organic: http://tanglepatterns.com/tag/organic-tangles . 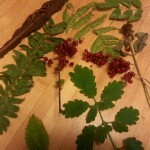 Another thing you can do is to do searches for nature or botanical tangles and patterns on Pinterest. I actually have a Pinterest board specifically for organic tangles as I love them so much… it’s called “Tangles Botannica“. I also follow other boards on nature designs and patterns that are not Zentangle for inspiration. Hope this helps! Love Twiggy! I think it will be my new favorite. Hollibaugh is my old favorite! 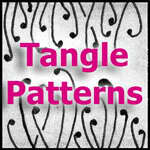 Thanks for posting your tangle pattern!